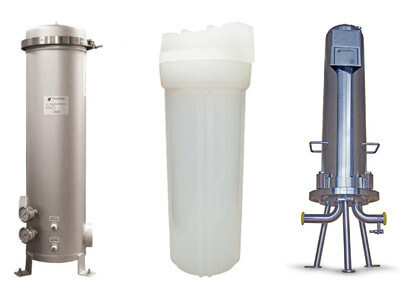 The applications of Donaldson liquid filters range from industrial utility water to sterile ingredient water. Filter Products Company can help you find the Donaldson filtration products for your needs. 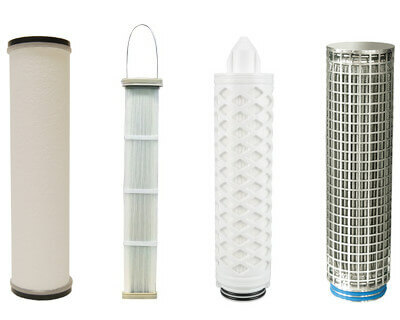 Filter Products Company offers a broad range of liquid filter elements by Donaldson. Models include the P-GSL N, P-RL, PES-BN, PES-WN, PP N, PP-FC, PP-FC 100, PP-TF N, PP100 N, PP100 CN, and a variety of competitive fit filters. These offerings include models with food grade certifications, broad chemical compatibility, high-temperature properties, and grades from course filtration to microbial removal. Contact us using the form below for pricing and availability. Filter Products Company’s offering of Donaldson filter housings encompasses a rich set of housing features. Models can include integrated element life monitors, compact or convenient configurations, various sizes and styles of connections, and multiple material and finish options. Housings are available that meet various standards or certifications, including 3-A Sanitary certifications. Our spectrum of housings includes models AG, AG-Z, DF, DF-C, DF-T, HD, P-BE, P-EG, PG-EG, PG-IL, R-EG, and SG. Please contact us for pricing and information using the form below.